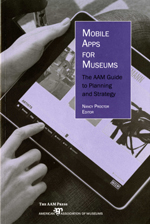 I am part of the team that has led the development of the Cleveland Museum of Art’s Gallery One and ArtLens iPad app. These new initiatives – blending art, technology, and interpretation – are garnering interest in the press and among museum colleagues. Many thanks to Mike Murawski for asking me to offer my perspective on the project, understanding that it is newly launched and we are in the process of gathering initial feedback. This project is the focus of a paper session at Museums & the Web 2013 in Portland (link to paper here). Responses so far have been enthusiastic as well as probing and have challenged us to think in new ways about what we’ve created and how we want to move forward. Recurring questions from reporters, colleagues, and visitors can serve as a way of introducing some of our goals and future ideas. What was your plan behind integrating technology? A view of Gallery One from the main lobby of the Cleveland Museum of Art. Photo courtesy of Local Projects. Our plan conceives technology as an interpretive tool to drive active experiences with art at CMA. Creating Gallery One and the ArtLens app has been part of our mission to put visitors front and center. We wanted to build a gallery experience at the entrance to the museum that would welcome all visitors, with particular focus on families, college students, and young professionals – audiences that have not always seen CMA as their kind of place. We wanted to offer them new possibilities to experience art in a participatory way through the medium of interpretive technology. We also wanted visitors’ encounters in Gallery One to spark interest in the museum as a whole and to provide tools of understanding and enjoyment that could enhance their experience of art in the galleries. 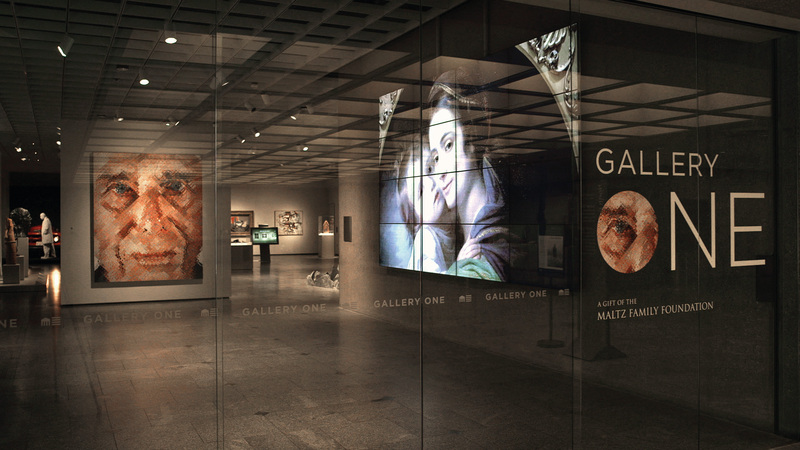 On January 21, 2013, we opened Gallery One and went live with the ArtLens iPad app. Gallery One is a unique space just off the museum’s main lobby in which 55 top-quality art objects from the permanent collection are arranged in thematic groupings that cross time and cultures. This organization allows visitors to make connections across CMA’s comprehensive collection of world art. For example, sculptures of the human form from ancient Rome, Japan, Africa, and 19th-century France greet visitors as they enter the gallery, prompting them to experience how our bodies have inspired art differently over time. Another installation groups paintings and ceramics from Europe and Asia, asking visitors to engage with roots of our contemporary, global culture. Interactive, multi-touch screens interpret selected art installations, allowing visitors to engage actively with the works on view by virtually creating their own works of art, or by physically striking a pose inspired by a work of art they see. Gallery One also includes Studio Play, a dedicated family space with hands-on art-making activities, as well as interactive technology stations that provide young children and their families with fun ways to have first encounters with art and CMA’s collections. A detail of the Collection Wall in Gallery One. Photo courtesy of Local Projects. Within Gallery One, just off our new central atrium, a one-of-a-kind, 40-foot multi-touch Collection Wall displays high-resolution images of almost 4,000 works of art from the permanent collection, most on view in the galleries. Every 40 seconds, the wall changes views, showing groupings of art objects based on themes, allowing visitors to see that the collection is dynamic, depending on how you view it. Visitors can touch and browse objects on the Collection Wall to discover other artworks that are related and to find tours that connect objects throughout the collection. The Collection Wall functions as a place to organize a visit through the permanent collection galleries by way of a unique connection with the ArtLens iPad app. 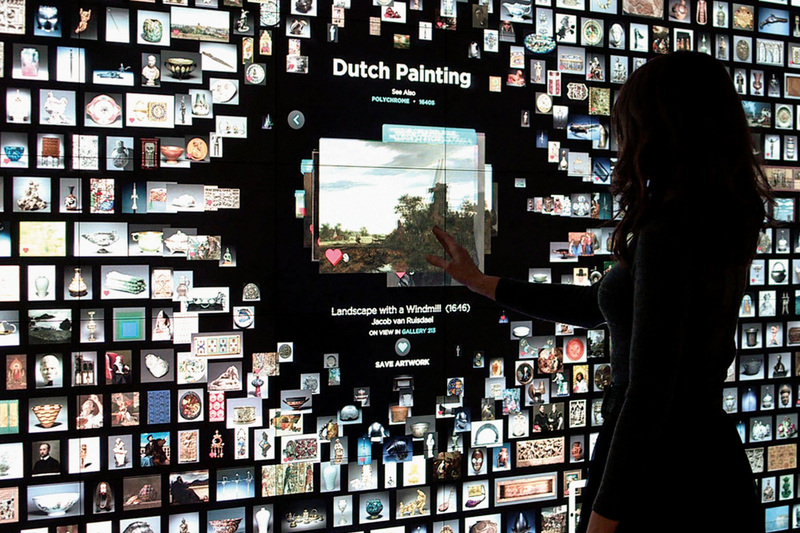 By docking their iPad (or one available for rent) at the Wall, visitors can save their favorite objects to the app and create a personalized tour through the museum. The app’s way finding system directs them to the objects on their tour or to other objects in the collection. They can also find CMA-created tours to organize their visit according to themes they like. Alternatively, they can browse through the galleries and find works of art that engage them, discovering text and video interpretation within the app, or even scanning two-dimensional objects through image recognition to find quick bites of text or video. What are your learning goals for visitors? visitors find transformative moments of discovery about continuing creative traditions that make art relevant for them. Sculpture installation in Gallery One. Photo courtesy of Local Projects. Gallery One and ArtLens were designed to honor browsing behavior. There’s no preferred path through Gallery One; visitors can move from one art installation to another, each with its own story. The Collection Wall asks visitors to browse rather than search: to find artworks they like visually, and to discover connections to related works by theme, medium, or time period. The “Near You Now” section of the ArtLens app follows browsers as they meander through the permanent collection galleries, indicating where they are in the building and the artworks near them. For objects with video interpretation, visitors can find a variety of short segments that they can choose according to their personal preferences rather than a prescribed sequence. Cool! 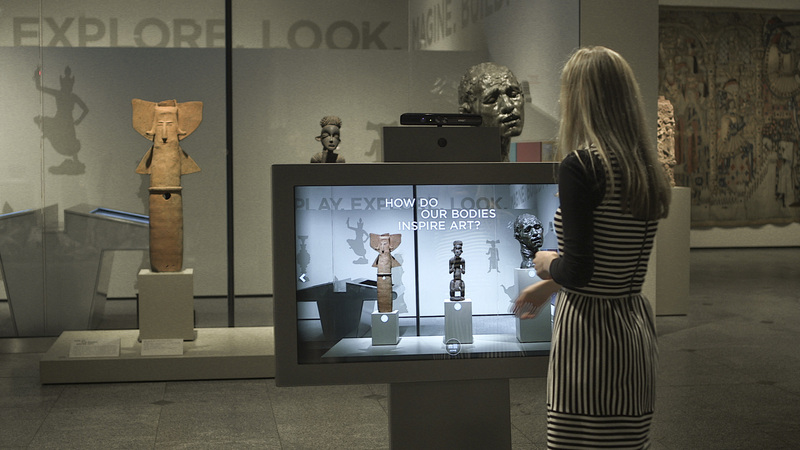 Interpretive technology serves visitors’ visual interests and democratizes the collection. The challenge comes in the connectivity between the Collection Wall and the iPad app. With the ability to save almost any object to their iPad, what will visitors expect when they reach the actual objects in the galleries? Currently only a portion have video and audio interpretation within the app, some draw web texts and label copy from our databases, but others feature only basic “tombstone” information. We’re eager to discover visitors’ expectations, and in the meantime, to develop priorities for creating new interpretive content. How can visitors contribute their own art interpretation within the iPad app? ArtLens video and audio content draws on conversations with curators, educators, conservators, and community members. We hope the variety of voices allows visitors to feel part of the conversation and to suggest that there is no single way to interpret or enjoy a work of art. The community voices are particularly important, as they call up continuing traditions that grow from the artworks on view and connect visitors with people in their community – like the Imam of the Cleveland Mosque for whom the Islamic prayer niche in our collection is part of a living tradition, or the Cleveland ballet dancer who brings his creative perspective to Degas’ Frieze of Dancers. 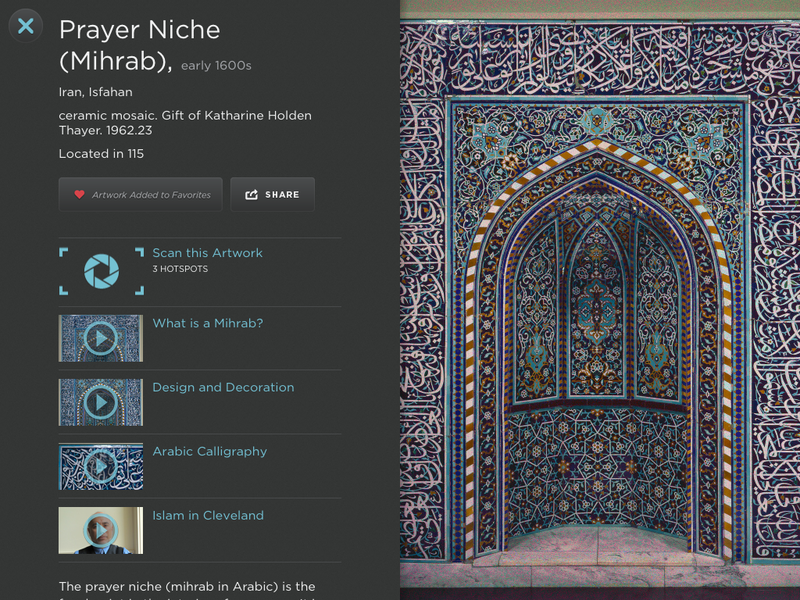 : Object page for CMA’s Prayer Niche (Mihrab) in ArtLens. Photo courtesy of the Cleveland Museum of Art. ArtLens also allows visitors to create their own tours – playlists of their favorite objects with their own catchy titles: “Randomness and Variety,” and “Lightning Tour Before Dinner Dash.” They can share favorite objects through Facebook and Twitter. We conceived these as first steps toward more extensive visitor participation. We’ve discussed the potential for gathering visitors’ stories about CMA’s artworks and incorporating them into the app. We’ve also dreamed about the potential to capture visitors’ voices within the app, so that they can contribute their own insights about their favorite works of art from the galleries or from off site. We encourage you to download ArtLens to your iPad and give us your feedback. Our project is ambitious – an interpretive system that reaches throughout CMA’s permanent collection. I’ve outlined some of our ideas and plans here, but there’s much more to come, so stay tuned! I want to extend huge thanks to the members of my CMA team in Education and Interpretation responsible for the development of interpretive content in Gallery One: Seema Rao, Patty Edmonson, and Hajnal Eppely, and in ArtLens: Jennifer Foley, Lori Wienke, and Bethany Corriveau. They are part of CMA’s Gallery One development team, led by Griffith Mann in Curatorial, Jane Alexander in Information Technology, Jeffrey Strean in Design, and myself. Local Projects of New York is responsible for all media design and collaborated with us on the concept development. Earprint Productions of San Francisco produced the ArtLens app digital content, in collaboration with the CMA interpretation team. 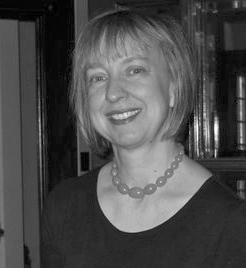 CAROLINE GOESER currently serves as the Director of the Department of Education and Interpretation at the Cleveland Museum of Art. Joining the museum in 2009, she reorganized the Education Department in 2012 to focus on two primary goals: 1) invigorating classroom experiences through object-based educational programs, and 2) creating vital experiences with works of art in the galleries through interpretive text, technology, gallery teaching, and public programming for visitors of all ages. Caroline collaborates with the Chief Curator and Directors of Information Technology and Design to oversee the new Gallery One, an interactive gallery for intergenerational visitors. She has facilitated and enhanced the museum’s collaborative interpretation program, which has garnered national recognition with the recent award of an NEH Challenge Grant. With colleagues at CMA and Case Western Reserve University, she has worked to re-envision the joint CWRU-CMA doctoral program in art history, which recently received a major grant from the Mellon Foundation to focus on object-based study. Caroline’s postings on this site are her own and don’t necessarily represent the Cleveland Museum of Art’s positions, strategies, or opinions.